Amidst reports of fear among the students, Delhi Police Commissioner Amulya Patnaik took to tweeter to assure “all students & parents” of adequate security arrangements on the campus. 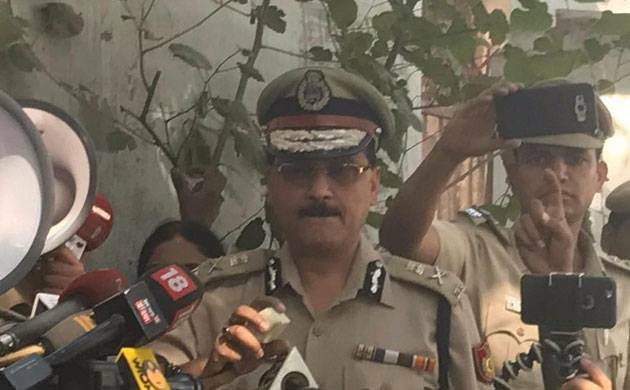 Delhi Police on Thursday suspended three of its personnel for their “unprofessional” handling of the Ramjas College violence and asked Crime Branch to conduct a probe into Wednesday’s clashes between ABVP and AISA members. Dependra Pathak, special commissioner of police (Southwest) and Delhi Police spokesperson admitted of “inappropriate and unprofessional” action on part of a few personnel yesterday. “These three officials have been placed under suspension and further inquiry is underway,” said Pathak. Sources said the three personnel are head constable Raghunath and constable Sachin from north district and head Constable Ashok Tyagi from 1st Battalion. Ramjas College had turned into a battleground yesterday as students of Left-affiliated AISA and the RSS-backed ABVP armed with hockey sticks rained blows on each other, causing injuries to many. JNU and DU students, who are members of AISA staged a protest at ITO Delhi Police Headquarters today demanding action against “errant cops” who allegedly roughed up students and journalists yesterday. They were also demanding registration of an FIR against ABVP activists. A case was registered yesterday in connection with violence and has now been transferred to Crime Branch. “Crime Branch, henceforth, will be investigating the case in entirety,” Pathak said. Police said ABVP activists had given a complaint alleging that anti-national slogans were raised during protests at the North Campus and that complaint has been forwarded to the Crime Branch along with all the other complaints. Earlier in the day, Pathak and SBK Singh, special commissioner, Law and Order, met the students protesting outside the police headquarters. Singh assured them of a fair investigation. “We have received several complaints from both the sides and have registered an FIR yesterday. We will record your statement and assure you that we will take legal action. If there are 10 complaints on the same incident, we don’t register 10 FIRs but record all statements,” he told them. Commissioner Patnaik tweeted that the police are making adequate security arrangements on the campus. “Assure all students & their parents that Delhi Police will keep 24x7 arrangements in & around North Campus for normal university functioning (sic),” he tweeted.